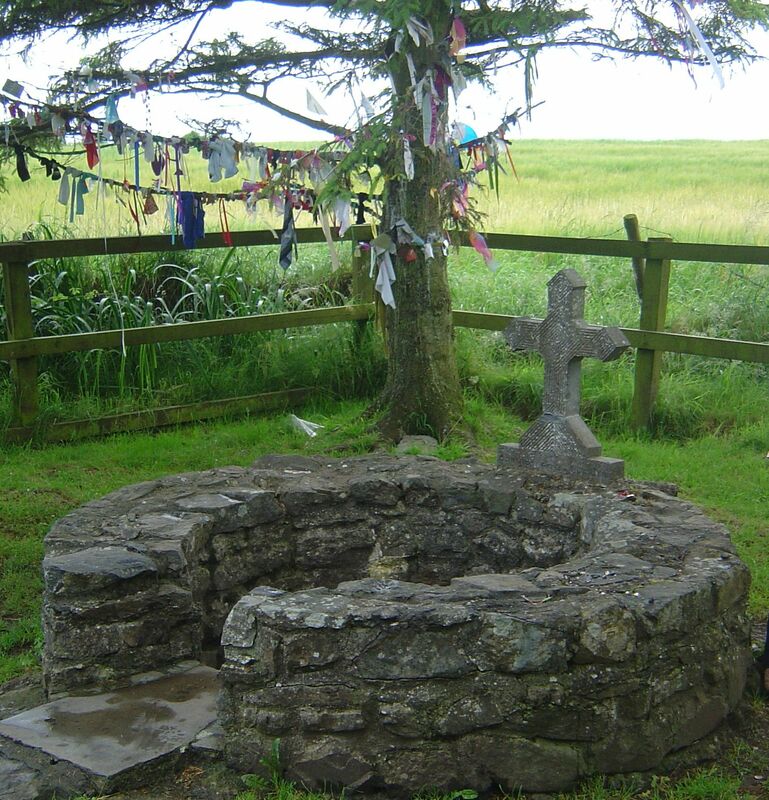 Holy wells were once common throughout Ireland. Before the invention of plumbing, fresh, clean water was of primary importance, so naturally spring-fed wells were valued, even revered. The water was thought to come directly from the underworld, courtesy of a god or, more commonly, a goddess. It’s thought that in pre-Christian times the wells each had their own deity, and over time these were replaced by the Christian saints. The number 3000 is bandied about as representing the historical total of holy wells in Ireland, although many of these are in disrepair or overgrown at this point, and many that are mentioned in ancient texts are now lost. 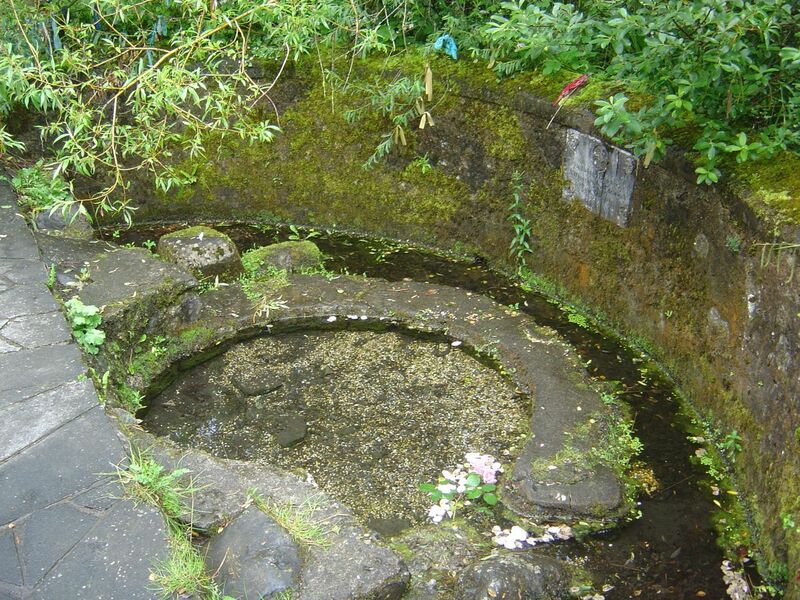 The two wells sacred to Bridget in Kildare town (there are many, many other wells dedicated the the saint elsewhere in the country) are instructive. The first (and older) well, known as “The Wayside Well” is a simple, circular stone well, with just one single stone marker dedicating it to Saint Bridget, aka “Mary of the Gaels.” Although unsigned, it’s easily found in the carpark of the Japanese Gardens (to the left when you go in the main gate). It is similar in design to many of the old holy wells you’ll find around Ireland. A few hundred yards away, and fed by an underground pipe from the first well, is Tobair Bride, the “official” St. Bridget’s Well. This is a much more landscaped shrine, with stations for ritual contemplation, a statue of the saint, and more-impressive stonework. Supposedly, this well was constructed in the 1950s because the first well was too close to a bend in the road (thus was dangerous for the many pilgrims), but the historian in me suspects that the church was uncomfortable with the popularity of the original well, which still carried associations with the sidhe and betrayed its pagan origins rather easily. The ancient well sacred to St. Bridget, and probably the goddess Brigid before her. It looks like the ancient “Wishing Tree” tradition followed the well from its original simple surroundings to this more elaborate, more overtly Christian site. Regardless, this indicates what I believe makes spirituality so enduring and central to Ireland and Irish life: the old traditions are carried on, perhaps for different reasons and bearing slightly different meanings, but they have real value to people, so they endure. We’re launching a free monthly email newsletter.